And we don't just mean the Hall and Oates song. (You're welcome for that earworm.) 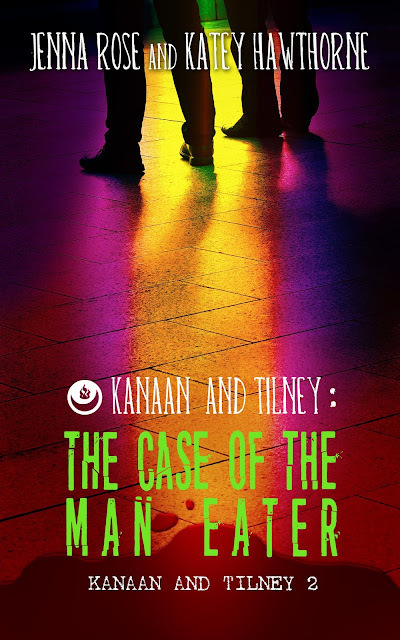 Kanaan & Tilney: The Case of the Man-Eater, is live at Less Than Three Press and loads of other retailers! This book takes a deep dive into the Beast faction, both its established clans and their ins and out and the packless--people like Lowell who don't have a family group to belong to for various reasons. This one ups the danger for our heroes, both personally and professionally, and hits a little too close to home. Welcome to the Chop Shop, and no, we're not talking about cars. We're talking Zombie Mafia so, well, you can imagine. And stop by Joyfully Jay tomorrow for a juicy, plotty excerpt and giveaway! 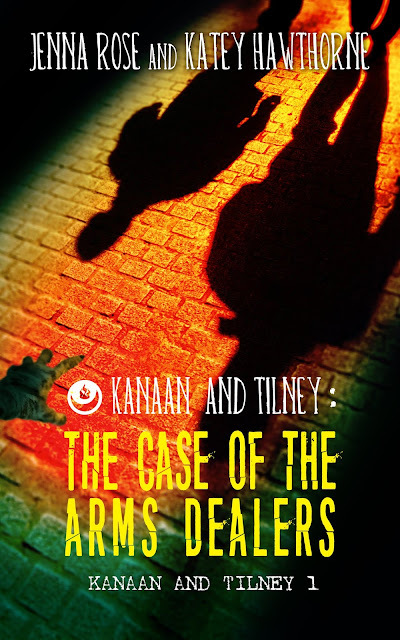 Kanaan & Tilney's first and second stories, The Case of the Arms Dealers and The Case of the Man-Eater, are getting a new life with Less Than Three Press! Follow the link to pre-order the brand new version of Arms Dealers, and watch this space for more news on these... and a brand new book three, currently in the works. Grab the newest Kanaan & Tilney adventure at any of these vendors or from the Loose Id store today! For excerpts and fun info, check out the book page here at the site or join us for the blog tour. 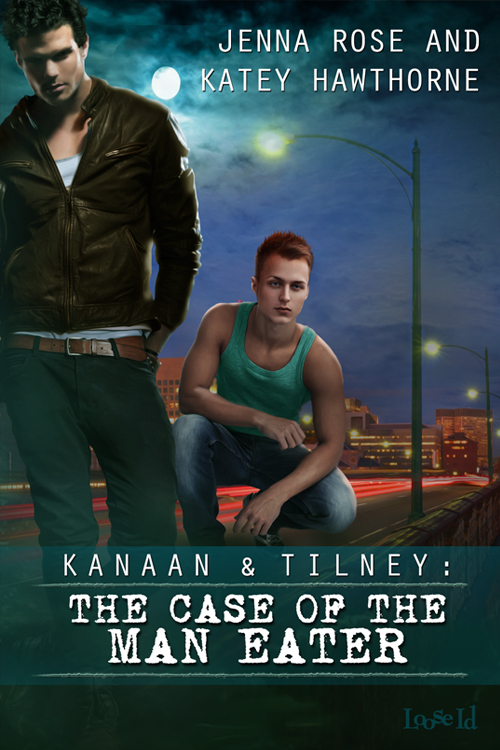 Enter to win a Kanaan & Tilney investigations prize pack! Kanaan & Tilney Ride Again! At last, it's almost here! The second installment of the Kanaan & Tilney Investigations is coming on December 26. Last time, Lowell and John formed their new partnership while going balls deep into the seedy underbelly of Boston's praeternatural world. Their investigation primarily dealt with Necromorphs, a subset of praeternaturals who draw energy from other people or things to live, heal, and maintain themselves. This time, they're wading into the Beast, aka animal shifter--subculture... and it's neck deep. Kanaan & Tilney Holiday Giveaway! It's that time of year, so how about a giveaway? Treat yourself to a little something from us--and Kanaan & Tilney Investigations. We've got themed goodies to giveaway, so we're giving them, two sets of each! We've got lovely Moleskine cahier journals hand-stamped with their logo (designed by John, obviously! ), we've got "I'm a Marshmallow" pins (because Lowell totally is! ), and we've got Loose Id gift cards ready to go. Try your luck and have a treat on us! K&T's very first blog tour is at an end, my friends--though we still have lots more fun coming, promise. Here are the winners for the blog tour giveaway. And an extra shout-out to the winner of the prize from TRS's Spookapalooza, Angela! Interested to see what all happened on the blog tour? Check out Jenna's wrap-up here! © 2015 Jenna Rose and Katey Hawthorne. Artwork © 2015 Vylla. Awesome Inc. theme. Powered by Blogger.